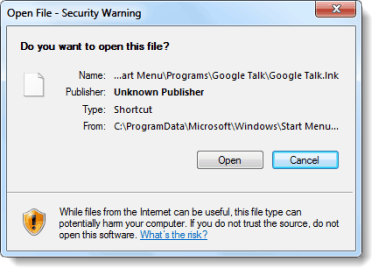 For Windows Vista and Windows 7 users, the above Security Warning pop up can be one of the most annoying things I’ve ever encountered on a computer. If this is happening to you, every time you open nearly ANY program you get one of these windows where you have to take the extra step and Click Open just to launch your program. Let’s fix that, right now! Disclaimer: I mentioned Vista because this fix should work there too, but I have only tested it on Windows 7. Click the Windows Start Menu Orb and then Type cmd in the search box. 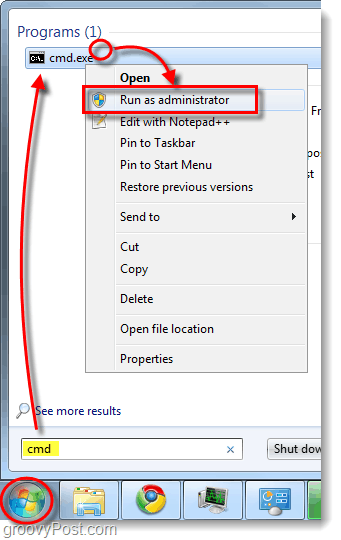 Right-Click the cmd program link that appears and Select Run as administrator. This step is all on one screen, but it is broken down into four different things you have to enter. Tip: These steps will go faster if you copy and paste each line of text into the command prompt. However, the typical copy/paste shortcuts (Ctrl+C and Ctrl+V) don’t work in the cmd window, instead just Right-Click the background and Select Paste. 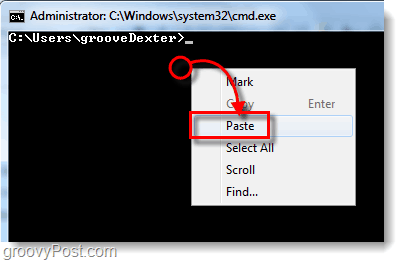 Now that we know how to paste, here is what you need to do. Next we need to set permissions for that folder. Paste in the following and Press Enter. Now when you go to open a program that is made by an obviously known publisher (like Google) you should no longer see the annoying security pop-ups that were troubling you before! These system settings were changed using the icacls command. Some more information on the particular icacls command we used can be found in the Microsoft MSDN archive here. Basically what we are doing is telling Windows that all shortcuts on the Start Menu are to be launched with minimal read/write privileges and in this way the shortcuts themselves won’t trigger a Windows security alert. Because we adjusted the settings of only the start menu it shouldn’t affect programs once they are actually launched. ps – if you want to get the xp style menu in windows 7 get Classic Shell from snapfiles dot com, tis a thing of beauty. Thanks Dennis and good tip. Welcome to the blog!